You will find picturesque moments at every stop during your ride through the Skyline Trail Big Bear. As you ascend over 1,500 feet during the ride, you can get great shots of the surrounding valleys and trees before you make you descent back down. The trail reaches a peak of 7,971 feet, so you know there will be incredible views. There will not be a better moment to stop and take pictures than when you reach the peak of Snow Summit. The Skyline Trail is approximately 15.2 miles long and starts at Dogwood Drive. You will traverse the terrain before finishing your ride at the Metcalf Creek. The trail starts off with a mountainside climb for just under two miles, then the switchbacks show up so you can roll up and down the hills. During the trail, you will reach the top of Snow Summit before going down the side of the mountain. Before you finish the trail, you will come across a big descent that will get your legs moving. Skyline Trail has been voted the number one single track trail in Bear Mountain. It is recommended that you enjoy Skyline Trail Big Bear during the summer and fall seasons before it gets to cold and the snow starts to fall. The trail is rated intermediate, and beginners should have a knowledgeable hiker with them before attempting. 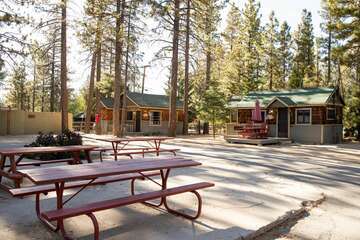 For your next Big Bear Lake vacation getaway, make sure to book with Big Bear Cabins. 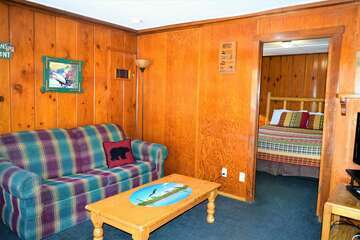 Our friendly staff will help you find the perfect cabin to stay at during your travels. 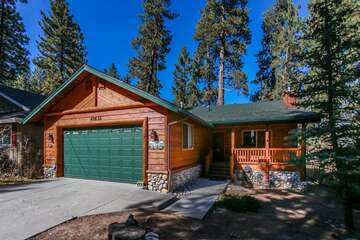 All cabin rentals are a short distance away from all of the exciting attractions found around Big Bear Lake. Contact us today to help you pick out the perfect rental cabin and plan for your big getaway!